There are some things I don’t enjoy writing about in PopCult. 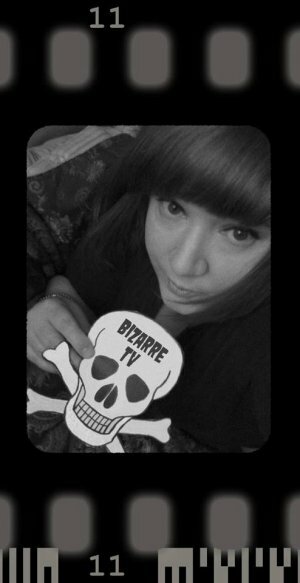 Last week, Rhonda Baffes, the proprietor and programmer for Bizarre TV passed away after a hard-fought and lengthy battle with cancer. I’d interviewed Rhonda for PopCult almost three years ago, and was a big fan of her work, and I also became an online friend. Rhonda had a dream of sharing her tastes in film with an ever-growing circle of friends. Bizarre TV had thousands of viewers, or “lurkers,” who loved her mix of cult films with independent shorts, ancient commercials, music videos and vintage “snipes,” the little interstitial films they showed in movie theaters and drive-ins (like the “Let’s All Go To The Lobby” clip). Had Rhonda not fallen ill, she planned to branch out and start making short films in collaboration with some of the artists whose work she’d showcased on her channel. She got to be Facebook buddies with Lee Harrah, and we’d tried to arrange for her to make a trip to ShockaCon, but it was not to be. Rhonda overcame a lot of adversity in her life. A single mother, she lost everything in Hurricane Katrina, and had to start life all over over again in Alabama. Our hearts go out to her teenage son, who meant the world to her. It’s heartbreaking that, after rebuilding her life and pursuing her dream with Bizarre TV, she was stricken with cancer. 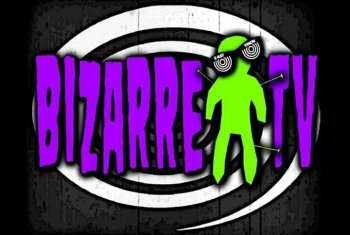 Bizarre TV was more than just a Roku channel. 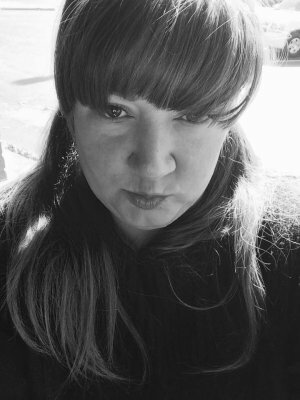 Rhonda created a community, one that shared a special worldview with an appreciation of horror, exploitation, and cult independent movies. She was key in encouraging the current revival of horror-movie hosts. Rhonda touched so many lives, and her loss is profound. I first discovered Bizarre TV on Thanksgiving night, 2014, and quickly found the online community that Rhonda had started just a few months earlier. It was a world populated with kindred spirits, people who enjoyed the labors of filmmakers who may have had more heart than budget or talent, but still managed to create unique artistic statements (sometimes unintentionally). Rhonda branched out over the years. I suppose it’s okay now to talk about Bizarre TV Underground, a channel for which you paid a one-time fee of twenty bucks for a lifetime subscription. BTU was a “gray” channel, where Rhonda would play movies that she might have not exactly nailed down all the broadcast rights to, but since it was a channel for a small, closed group of friends, there was plenty of “fair use” legal wiggle room. We operated under “Fight Club” rules. You just watched BTU, and didn’t talk about it outside of the closed Facebook group. It was on BTU that I was exposed to the work of a lot of independent filmmakers whose work I have since purchased on DVD and Blu Ray and have recommended in this blog. Like Bizarre TV, Bizarre TV Underground was programmed with Rhonda’s one-of-a-kind wit, taste and cleverness. Rhonda even briefly experimented with offering a Bizarre Sexploitation channel plus some special bonus channels for her subscribers, but eventually she had to give those up, because it was costing her so much money in server fees. Rhonda never attempted to make a penny with Bizarre TV. Even when it was one of the top free channels on Roku she never tried to run paid commercials or cash in on it. The one-time subscriber fee for BTU just barely covered her expenses for a month or two. Bizarre TV, BTU and the Lurker Community was Rhonda’s labor of love. Last year a couple of BTU subscribers looking to curry favor with a horror convention caused Rhonda a tremendous amount of grief by reporting the channel for showing movie trailers without permission. I hope those people are aware of the harm they did to a woman who was struggling with what became terminal cancer. Suddenly faced with potential legal trouble, Rhonda pulled the plug on BTU, leaving it up with a scroll promising to return. Rhonda was ever-hopeful that she would be able to resume programming her channels. It was a great joy in her life, and It’s a real shame that at her lowest point, two really horrible people conspired to rob her of that small bit of happiness. It was inspiring to see the Bizarre TV communities rally around Rhonda during her illness and during that incident. People across the country came to know Rhonda as a friend, and we came to know each other as fellow Lurkers in Rhonda’s Bizarre TV world. We loved the movies she showed, and we loved her wicked sense of humor. She was our Mistress of the Macabre. Rhonda had fought hard. She’d started chemotherapy more than a year ago, and last summer had her stomach removed. She’d rallied a bit and had Bizarre TV running with fresh programming until October, her favorite month, when she discovered that a new cancer had developed and was spreading rapidly. About a week into October, Rhonda put Bizarre TV on autopilot, and the station has been running the same six movies, twice a day, since. I don’t know for sure what the future holds for Bizarre TV. I know that at one point last year, she’d almost finalized a deal for a partner to come in and convert Bizarre TV to an all-horror-host channel that would potentially include commercials. I believe that her illness kept that deal from happening. If Bizarre TV does continue, it will never be the same without Rhonda. My best guess is that eventually Bizarre TV, as the bills stop being paid for server space and Roku access, will simply disappear, like an abandoned space station falling out of orbit and becoming a shooting star. That might just be the way Rhonda would like to be remembered. Especially if that space station hits the ground, and an astronaut’s hand crawls out and starts killing people. Rest in peace, Rhonda. We are going to miss you greatly. Thanks for letting us lurk. This is a gorgeous essay. I’ve been trying to sort out my thoughts and feelings, and you expressed many of them beautifully. Thanks. very well done I have known rhonda the last 4 years Her loss is a blow to all horror hosts I hope the channel will continue as a tribute to here the angry brother stand ready to help any way we can..For now all we can do is mourn the loss of mistress rhonda and rest assured that she is in a far better place. see previous comment Mistress Rhonda will be greatly missed. She was a real peach of a person and a friend to horror hosts every where..Godspeed Rhonda enjoy your wings you earned them!!! Long time lurker here. My prefect day was always Bizarre tv and some wine. What now? You did a great thing Rhonda. @Robin Sanders I was thinking the very same thought. Similar channels exist (or have come and gone), but none have Rhonda’s magic. I’m grateful to her for all I discovered under her curation.